Hail can leave significant damage to your home or property within minutes. Call Five Star Claims Adjusting for an inspection. Did your house or business get damaged from a hail storm? Hail storms come fast and are hard to predict. When it strikes, it can do untold amounts of damage to your house and vehicles. We have seen broken skylights and windows and damage to the roof. Roof damage is hard to see. You need a certified claims adjuster to do an inspection and make sure that ALL damage is accounted for. Your roof make look ok, but all that hail pelting down on it can do damage that is not easily detected from the outside. It can lead to roof leaks and water damage inside your house. 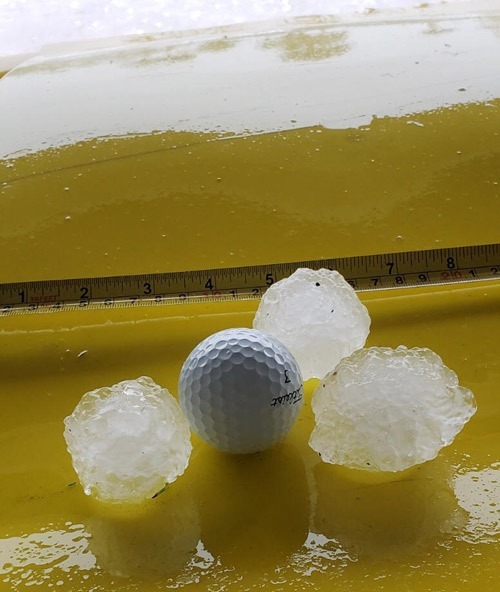 Immediately after a hail storm, call Five Star Claims Adjusting to schedule a FREE inspection of your property to record any damage. Your insurance company will typically only do an inspection of damage that is reported by you. A Five Star Public Adjuster is trained to make a full inspection to find any and all damage and file the claim on your behalf. They are trained to negotiate directly with your insurance company to assure that you get the best possible settlement to your insurance claim. Let the certified public claims adjusters from Five Star Claims Adjusting do a thorough inspection of your property. We even inspect large boats and yachts! If you suspect you may have damage to your dock, give us a call and we can tell you whether you may have a claim for that as well. Don't wait too long, call today if you have been through a hail storm and need help with an insurance claim! 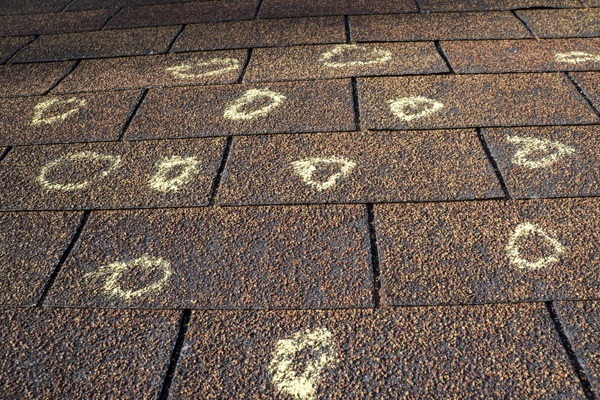 Hail damage to your roof can be barely noticeable from the outside, but can cause water damage inside. Have a Five Star claims adjuster come for a full inspection of your property.